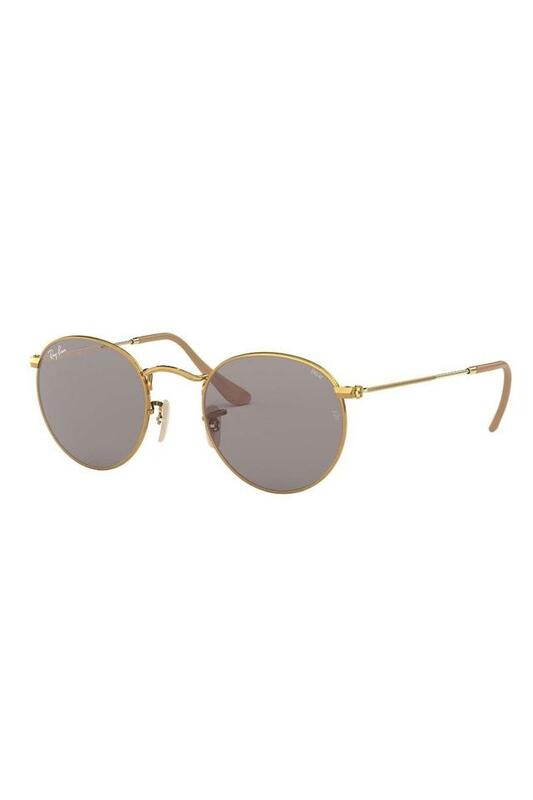 Leave a lasting impression on everyone by wearing this pair of round sunglasses from the house of Ray Ban. It features a full rim metal frame that adds to its design, while the temples and the nose pads make it convenient to wear. It also comes with UV protected lenses, which will protect you from harmful ultraviolet rays. Beat the heat by wearing this exquisite pair of sunglasses. Featuring a round style with a full rimmed frame, it can be combined with any outfit to look your best.